Usain Bolt has been offered a two-year contract by an unnamed European club, according to the Jamaican's agent. 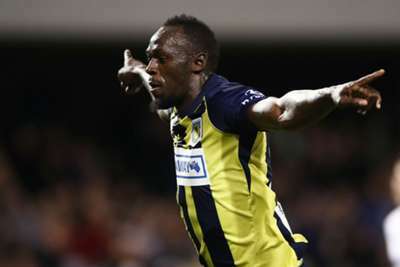 Eight-time Olympic champion Bolt, who retired from the track in 2017, is currently on trial with Australian side Central Coast Mariners as he bids to fulfil his dream of becoming a professional footballer. The 32-year-old scored twice on his first start in Friday's friendly against Macarthur South West United to stake his claim for an offer ahead of the Mariners' A-League campaign beginning this weekend. "There is a club in Europe that has offered Bolt a two-year deal, they have been taken over by new owners who have aspirations of Champions League football," he told ESPN. Speaking after Bolt's two-goal display on Friday, Mariners' chief executive Shaun Mielekamp stressed that "it was too early to tell" if the club would offer him a full-time deal.